A bit of Cole family math: From the advent of the LP era in the early 1950s until his death in 1965, Nat delivered 34 albums (greatest-hits compilations and posthumous releases notwithstanding). At the time of Nat’s demise, kid brother Freddy, also a gifted pianist and vocalist, had released just one, the estimable Waiter, Ask the Man to Play the Blues. 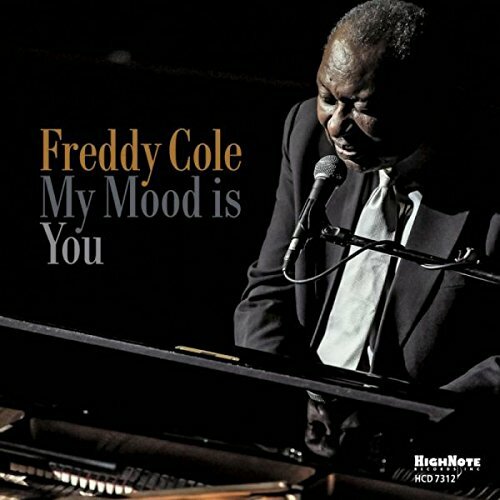 Now Freddy Cole, whose career sputtered in Nat’s overwhelming shadow for nearly two decades before hitting rapid acceleration in the mid-’90s, has, at 86, pulled even; My Mood Is You is his 34th release. Just over a decade ago, Freddy added guitarist Randy Napoleon to his quartet—alongside bassist Elias Bailey and drummer Curtis Boyd, since replaced by Quentin Baxter—establishing a pattern that has served him well ever since: slow, smooth, laid-back and sophisticated (with room for occasional bursts of up-tempo revelry). Here, with Cole ceding the piano bench to John di Martino while welcoming saxophonist Joel Frahm, he digs deep into his vast songbook to unearth several underappreciated gems. Yes, there’s still a hint of Nat in Freddy’s burnished baritone, but the critical parallel is the equally mesmerizing storytelling mastery he exhibits across Luiz Bonfá’s coy “Almost in Love”; a scintillating, Frahm-propelled take on Billy Strayhorn’s “Love Like This Can’t Last”; Richard Rodney Bennett and Johnny Mandel’s bittersweet “I’ll Always Leave the Door a Little Open”; Mack Gordon and Harry Warren’s romantically perplexed, Nat-associated “My Heart Tells Me”; and the tender Carl Sigman title track. Preview, buy or download My Mood Is You on Amazon!